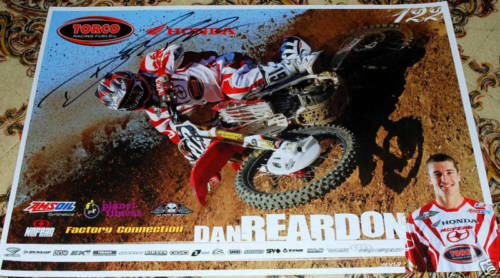 13x19 inch mini promotional poster autographed in black marker by Australian motocross rider Dan Reardon. Obtained in person at Honda Racing signing, with certificate of authenticity from AutographsForSale.com. ONLY 4 AVAILABLE FOR SALE.